A free checkbook cover usually comes with each new box of checks you order but let's face it, they are plain, flimsy and not very attractive. Here's a quick and easy way to dress it up, extend its life and eliminate the waste of buying a new cover. 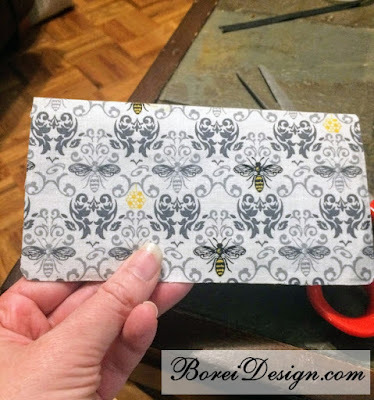 Recently I was browsing fabric at a local shop and saw this cute bee and damask pattern. I thought it was really cute and thought...hmmm...what can I use that for? The gray color in the fabric reminded me of the plain boring checkbook cover I just received in the mail and quick new project idea was born. 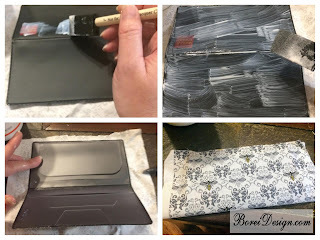 For this project you will need a checkbook cover (the inexpensive freebie ones from the bank work great), fabric, Mod Podge, a sponge brush and any type of decorative stickers, monogram cutouts or etc you may want to use. For an even lower waste option, use fabric from an old shirt or etc that you no longer wear. Step 1: First cover the entire outside of your cover with Mod Podge using a sponge brush. Step 2: Place the cover down on the wrong side of the fabric and smooth as necessary. Step 3: Once dry, trim the fabric around the corners of the checkbook cover. Step 4 (Optional): Add any other stickers, monograms, names, graphics or etc you desire to truly make it yours. I didn't add any additional embellishments in the pictured checkbook cover but the sky is pretty much the limit to what you add. 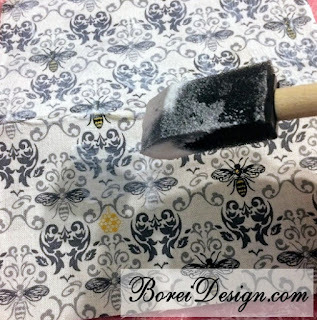 Step 5: Sponge brush coats of Mod Podge on top of the fabric. I added about three coats, allowing it to dry between each coat. 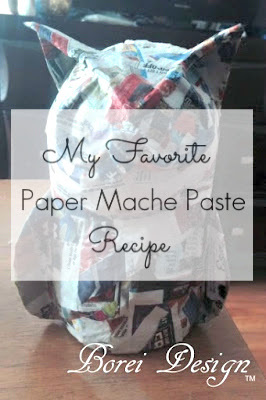 The fabric and Mod Podge makes the thin plastic much more durable. Step 6: Enjoy! 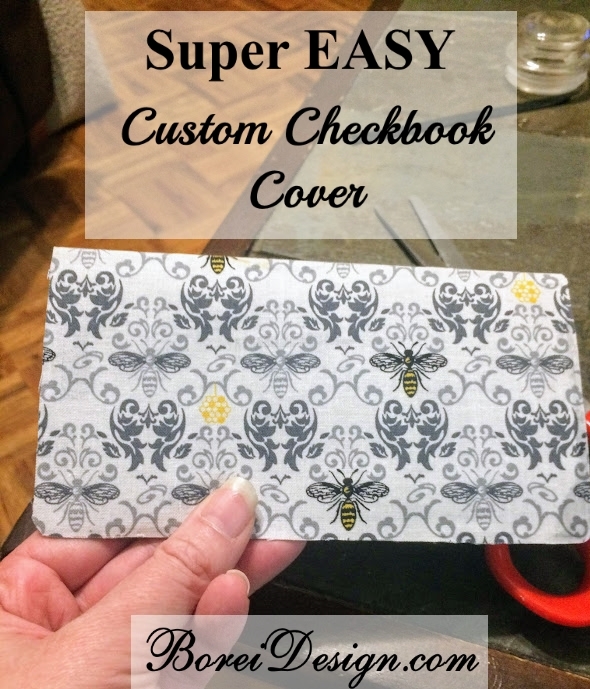 You know have a one-of-a-kind checkbook cover that your bank account and the planet will appreciate. 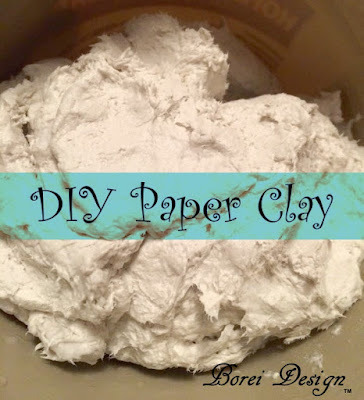 Hope you enjoyed this quick tutorial and until next time, happy crafting, my friends!